A landscape construction business with a very professional portfolio including experience of building several gold medal winning gardens in Chelsea, working on the queens jubilee garden at Windsor Castle and lots of experience working with the very best designers in the industry as well as large commercial contracts. 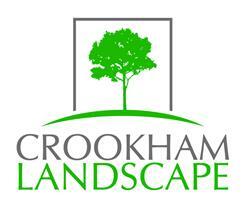 Crookham Landscape based in Fleet, Hampshire is a well establish professional landscaping company with over 15 years of experience. Educated to degree level with a very good appreciation of quality designed landscapes. We will undertake any size contract and give free estimates and advice.